Investigation into the prison, which is located in Wetumpka, will continue, according to the DOJ. Wetumpka is located about an hour and thirty minutes south of Birmingham. Who was Julia S. Tutwiler? 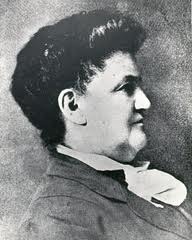 According to the Encyclopedia of Alabama, Julia Strudwick Tutwiler was a writer, prison reformer and an outspoken advocate of education for women. Tutwiler worked with others to establish institutions that became the University of Montevallo and the University of West Alabama. She was born to John and Julia Tutwiler. He was the University of Alabama’s chair of ancient languages, and she was the daughter of the university’s steward or business manager, in 1841 in Tuscaloosa. Tutwiler’s father believed in intellectual equality between men and women; he sent his daughter to a boarding school on the East coast. During the Civil War, Tutwiler returned home to teach at a school her father had since started. After the war Tutwiler attended Vassar College in Poughkeepsie, N.Y., but had to drop out due to lack of money. She eventually studied privately with professors at Washington and Lee and earned a teaching certificate. After years of traveling and studying abroad, Tutwiler returned to Alabama where she advocated for the education of women. In 1892, she persuaded University of Alabama trustees to admit women. But Tutwiler had her share of detractors. In 1881, Tutwiler became president of Livingston Normal College (which is now the University of West Alabama), but the school was placed under state control in 1907. She was criticized for mixing personal money with the school’s money and poor record-keeping. She was also accused of being impulsive and hard to work with. She was eventually replaced in 1910. Tutwiler was also criticized for not speaking out against the segregation of blacks and whites in the classroom. On March 24, 1916, Tutwiler died in Birmingham. The state prison bearing her name was opened in 1942. Tidbit: Tutwiler Hotel, located in downtown Birmingham, is named after Julia Tutwiler’s uncle, Edward. Edward Tutwiler, who built the hotel, was the founder of Leeds. Of this goodly land of Thine. Hearts as open as thy doorways. Liberal hands and spirits free. But that little – hand, brain, spirit.